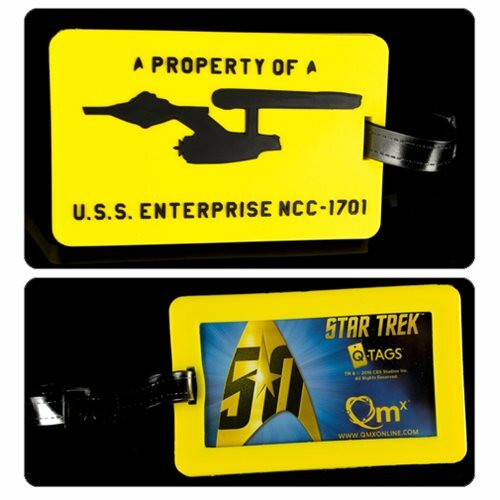 Show your love for Star Trek on your luggage, briefcase, favorite bag, or tote with the Star Trek Enterprise Q-Tag Luggage Tag! This awesome tag features an embossed silhouette of the famed starship, the U.S.S. Enterprise on a yellow background in durable, flexible plastic. Flip it over and write your contact information on the included card, or slip your business card in instead. Ages 10 and up.